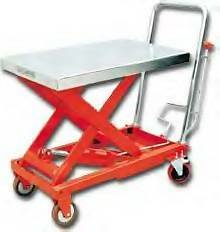 Industrial Carts for every application - Jamco steel service carts, metal platform carts, stocking, order picking, warehouse, security, box, tool, repair, ergonomic lift carts, maintenance, instrument, mobile cabinet carts, Rubbermaid tilt trucks, dollies and more! work in process and environments. Pick orders efficiently with multiple design order picking carts which enhance productivity and movement. Multiple shelf and paperwork holder options. Open and 2 sided options. Secure valuable inventory for movement and handling within plant or from station to station. Restricted access items are held safe and secure. Collect materials in work in process manufacturing environments or hold bulk inventory for movement from area to area. Used in movement and transport applications. Designed to handle delicate instruments and tools with vibration dampening rubber matting. Avoid steel on steel contact with rubber mat covered shelves. Drawers allow organized storage of tools and accessories. Maintain specialized items in cabinet style carts for bulk as well as small parts. Enclosed designs protect tools and accessories from dust and dirt accumulation as well as incidental pilferage. Move maintenance and repair functions to site specific areas aiding in quick response time as well as specialized tools for changeovers. Drawers aid in storage and organization.